Work smart, not hard. 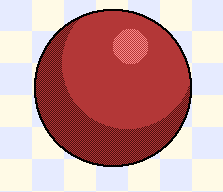 How to do large scale dithering on Photoshop, efficiently. Sorry if this has been on the site before, or seems obvious. Recently, I've been trying to do tilesets, and while hand dithering a wall, I thought to myself, "There has to be a quicker way to do this." because I'm all for efficiency and speed. 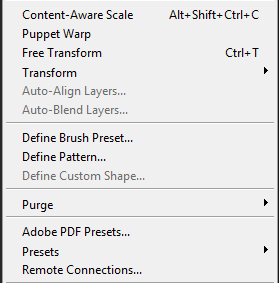 This tutorial/article is meant for Photoshop, but it works in any program that has patterns. It's not meant to teach you how to dither. Only how to do it fast. Only your own judgement can make it look good. We're going to be working on these wall tiles. As you can see, I've already done an amount of dithering. 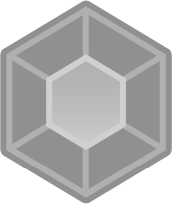 First off, create a new document, and make it a small number of pixels, like 2x2, 4x4, 8x8... It depends on the dithering style you want. 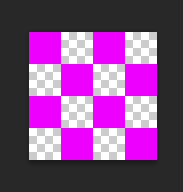 We're starting with a 4x4 document to do a simple checkerboard style dither. 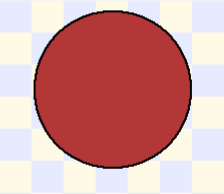 Make it a color you wouldn't use in your tiles. Now, open Edit and select Define pattern. Name your pattern something easy to remember. Since we're here, let's go ahead and make another pattern, I deleted two alternating rows of pixels. This makes for a lighter dither. 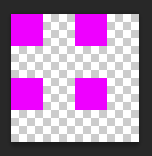 Say that the checkerboard is a 50% dither. This would be 25%. We need to select the area we want dithered. I took the square select here, but you might need to use another type of select. The lasso tool would work better for more organic shapes. I want a smooth gradient, so I'm always picking 8px height selections. You might want to make a new layer for this, just to keep things neat. Let's get our Bucket tool. In the top bar, where the tool definitions are, find the drop down list that has Foreground and Pattern. We want Pattern for this. Get the pattern you just made. Let's return to that top bar, and change it back to Foreground. Let's also uncheck Contiguous. Color pick the color you want your dither to be and change the color of the pattern. Ta-da! 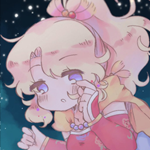 You would usually have to put down those pixels one at a time (or several at a time if using brushes) and who has time for that? 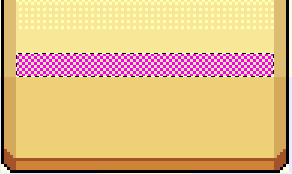 Tilesets take long enough to get done. Let's finish up these wall tiles. This took me maybe ten minutes to make. Less if I hadn't been screenshotting. Not exactly pretty, but that's more my own lack of skill. As I mentioned before, you don't have to use the square selection. Let's do something else. 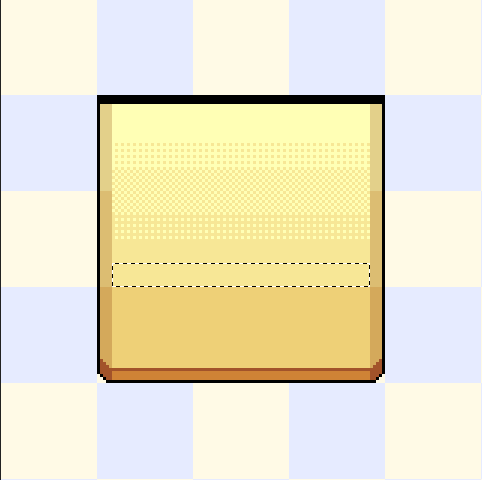 I don't suggest this for sprites, at least on a smaller scale. The time you would take to make selections and do all the steps of this process would be slower than just putting down like 30 dots or less. 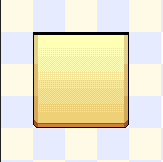 But if you're making tiles on a mass scale, or big battler sprites, this could save you a long, boring time. Just a word of advice. As a beginner pixel artist myself, using a quick way to shade objects via dithering is not going to improve your skills in the long run.